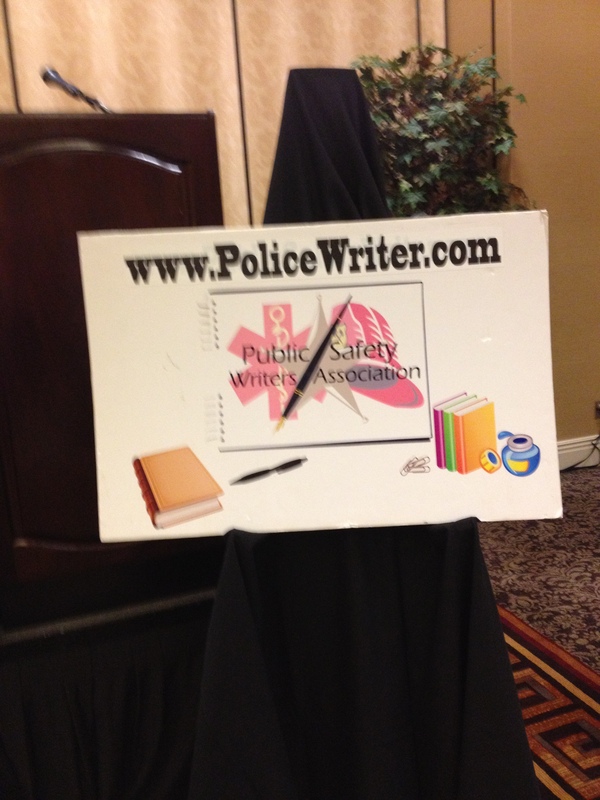 The 2013 Public Safety Writers Association (PSWA) was held at The Orléans hotel in Las Vegas, Nevada, on July 11-14th. It was my first time attending the conference, and I have to tell you it was a wonderful experience. Members included- police officers, civilian police personnel, firefighters, fire support people, emergency personnel, security personnel, FBI, homeland security, psychologists, social workers, and others in the public safety field. 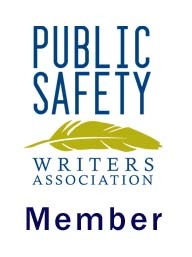 They accept writer’s who write about public safety including mystery writers, magazine writers, journalists, and crime fiction or those who are simply interested in the genre. Not only did I gain knowledge from this talented group of writers, but also I was surprised they had a pretty even mix on the writing craft itself. Presenter: Joseph B. Haggarty, Sr.
Police officer working as a vice detective from 1973 until 1996 in Washington DC. 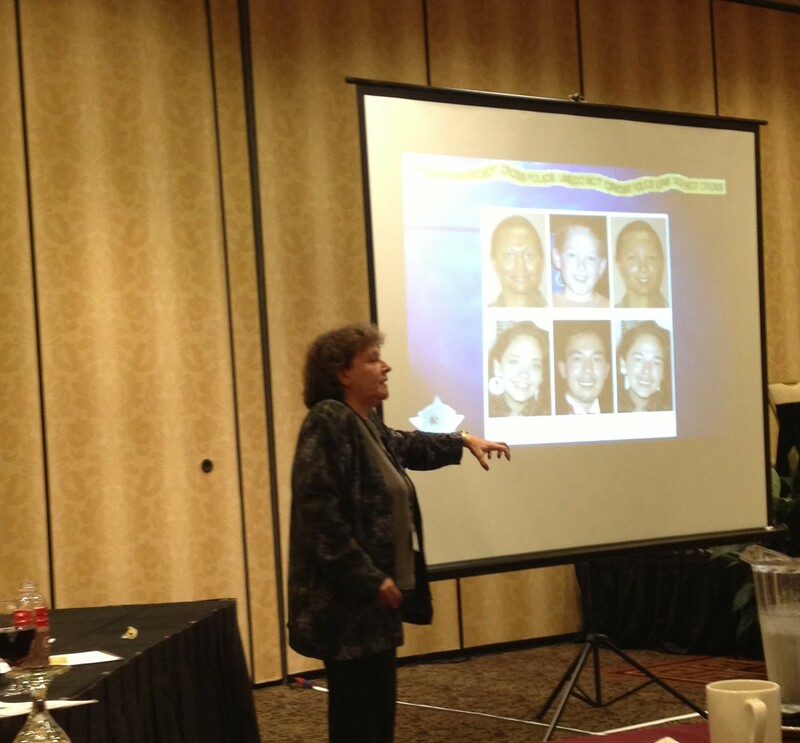 The Mystery of DNA Presenter: Susan Connell Vondrak. A 27 year forensic veteran of the Illinois State Police. Panelists: Ilene Scheider, Lorna Collins, Madeline Gornell, Mata Chausee, Marja McGraw and moderator Susan Smily. I joined this group because the first book in my Victims of Love series is NOT a romance. It is crime fiction and I wanted to get the details right. Luckily for me I learned after joining this group, I had to re-write my ending because DNA was not around in 1986 where Genesis (my prequel ) takes place. And I found out siting in Denver International Airport (DIA) smoke lounge that in 1986 there was no Denver International Airport it was called Stapleton International Airport (SIA). My hero Johnny Gaston, catches a plane to Denver, I had him going to DIA now he is going SIA. Also, Denver International Airport is massive in size compared to old Stapleton International Airport. Two very BIG boo-boo’s! Two major re-writes! So-it pays to research your book, it adds realism to your story, and readers will call you on any mistakes. Research is very IMPORTANT! PSWA also had publishers to pitch to. Kathy Contrell from Wild Rose Press, Billie Johnson from Oak Tree Press and for those of you who want to self publish, Geno Munari from Houdini Press. He showed us an interested concept on how books will be distributed in the very near future. The hotel was also wonderful. Staff was friendly and the lunches provided for the conference were out of this world! It had been at least twenty years since I last went to Las Vegas and, boy, has it changed! The strip almost looks like New York’s Times Square . My husband Tom and I visited with family while we were there. Four days was not enough time. I not only acquired a great deal of knowledge but I also made a few friends. I would encourage any of you who write books about murder, mystery and have any type of law enforcement or public safety characters, to think about joining this group of experts and writers. 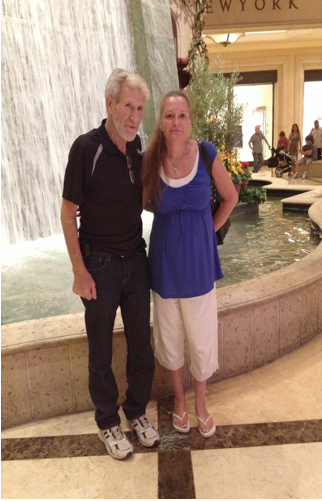 My husband Tom and I, standing in front of a waterfall at the Venetian Resort Hotel and Casino. There have been far too many headlines in the news lately on teen murderers and school shootings. We are shocked when we hear a child has committed the abominable act of murder. It defies our minds when we learn sweet little Janie down the street whacked her parents to death as they slept. We grieve for families who have lost a parent, child, friend, spouse, sibling, or neighbor. From all the research I’ve done on the subject of why kids kill, their motives are not that much different from those of adult killers. They carry out murder for money, love, revenge, and for the thrill of committing it. There is no profile for teen murderers. One of the things we do know about teen murders is that most are NOT well planned. Some have been caught because they left evidence like a driver’s license or prescription with their name on it. 1. The Family Killer—A juvenile who kills a family member. These types usually kill for money or revenge. They feel pressured by demands, abuse, and hatred. Jasmine Richardson was twelve when she brutally murdered her parents and younger brother in Medicine Hat, Alberta. Motive, to be with her boyfriend whom her parents didn’t approve of. 2. The School Killer—A juvenile who kills a student, teacher or administrator at school. I’ll write more on this type later because there is more information coming out from different studies. The motives of these killers differ from the usual. Leakage occurs when a student intentionally or unintentionally reveals clues to feelings, thoughts, fantasies, attitudes, or intentions that may signal an impending violent act. These clues can take the form of subtle threats, boasts, innuendos, predictions, or ultimatums. They may be spoken or conveyed in stories, diary entries, essays, poems, letters, songs, drawings, doodles, tattoos, or videos. Another form of leakage involves efforts to get unwitting friends or classmates to help with preparations for a violent act. Sometimes this is accomplished through deception. For example, the student asks a friend to get ammunition for him because he is going hunting. Leakage can be a cry for help, a sign of inner conflict, or it can be boasts that may look empty but actually express a serious threat. Leakage is considered one of the most important clues that may precede an adolescent’s violent act. Though school shootings have been highly publicized in recent years, they are not new. They have been around since 1764. The earliest known United States shooting to happen on school property was the Pontiac’s Rebellion school massacre on July 26, 1764. Four Lenape American Indians entered the schoolhouse near present-day Greencastle, Pennsylvania, shot and killed schoolmaster Enoch Brown, and killed nine or ten children (reports vary). Only three children survived. 3. The Gang/Cult Killer—A juvenile killer motived by a street gang, hate group or cult. These crimes often begin with Satanists because it gives them the feeling of power over others. At age 17, while wearing an AC/DC T-shirt, he murdered fellow teen Gary Lauwers in the Aztakea Woods of Northport, Long Island. Along with two other friends—who, like Kasso and Lauwers, were high on mescaline—Kasso was in the woods to dabble in occult practices, as part of their self-dubbed “Knights of the Black Circle” cult. Tensions had long before mounted between Kasso and Lauwers, after the latter allegedly stole 10 bags of PCP from Kasso. On June 16, 1984, in the Aztakea Woods, unsuccessful attempts to build a fire prompted Lauwers to make up for the damp driftwood by using his socks and denim jacket’s sleeves. Kasso said that they should use Lauwers’ hair instead, which led to Kasso biting him on the neck. Then, over a reported three-to-four-hour period, Kasso and his two other friends stabbed Lauwers upwards of 36 times, burned his body, gouged his eyeballs out, and stuffed rocks down his throat. As he was killing Lauwers, Kasso ordered him to “say you love Satan,” but Lauwers said, “I love my mother.” Kasso covered the thought-to-be-dead body with branches and leaves, but, as reports tell, Lauwers rose back up, said “I love my mother” again, and prompted the assailants to continue their assault until he was confirmed dead. On July 5, Kasso was arrested. Two days later, he hung himself in his jail cell. Update: I originally had “The West Memphis Three” as my feature here, but I was told by a reader they were exonerated and released from prison in August 2011. After spending almost 20 years in prison, they gave a Alford plea and were released. My apologizes to Damien, Jason, Jesse and my readers for not following up on this case before posting it. Thank you Nico for bringing this to my attention! 4. The Crime Killer—A juvenile who kills while committing another crime, like burglary. Bryton Gibbs was 16 when he stabbed Christopher Taylor to death with an 8-inch kitchen knife. Gibbs called Pizza Hut and placed an order to be delivered to a vacant apartment. When Taylor, 33, arrived, Gibbs and three other male teens robbed him of $50 and killed him. 5. The Baby Killer—A juvenile who kills his or her infant or young child. Cassidy Goodson, a teen who admitted killing her newborn baby and hiding him in a shoebox this past fall, used a Santa Claus doll to show investigators exactly how she strangled him in her bathroom shortly after giving birth. 6. The Thrill Killer—A juvenile who kills to feel what it feels like. These types are usually psychopathic. They have no empathy for their victims. The only time you will see them cry is when they are caught, and the tears are for themselves. 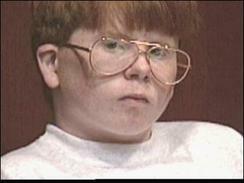 Eric Smith murdered a four-year-old boy named Derrick Robie in 1980. He dropped large rocks on the boy’s head, strangled him, and then sodomized him with a small stick. Smith has never explained why he murdered the four-year-old. He has been denied parole five times. “I don’t doubt for a second, never have doubted, that had he not been caught, Eric Smith would have killed again,” the prosecutor in the case has said. According to Phil Chalmers, who has interviewed 200 adolescent killers and is a teen violence and youth culture expert, there are 10 reasons why teens kill. They are listed from most likely to least. He also suggests most teen killers have at least 3 of the list of causes, and many have 6 to 8 of the 10 causes. In conclusion, children can be capable of committing hideous acts on their fellow human beings. There have been many books and movies about bad kids. The one that comes to mind is the 1956 movie, The Bad Seed, which depicts a housewife who suspects that her seemingly perfect 8-year-old daughter is a heartless killer. It was actually a book first written by William March in 1954 and was awarded The National Book Award for Fiction in 1955. The child, Rhoda, is portrayed as a sociopath although the term was not widely used at the time. She has no conscience and will kill if necessary to get whatever she wants. By the time Christine, her mother, puts the truth together, Rhoda has already killed two people (a neighbor in Baltimore and her classmate Claude Daigle). In time, she also kills Leroy, the apartment building’s gardener and the only adult who sees through her. An adept manipulator, she can easily charm adults while eliciting fear and revulsion from other children who can sense something wrong with her. 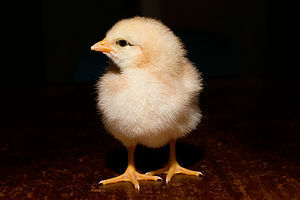 Thank you to Misty and Josie from Chick Swagger for nominating my site for the Sunshine Award! I am truly humbled to be picked for this award. Surprised me, too, considering my topics are kind of dark. But after reading why I was picked, it made this award even more special to me because it’s exactly what I wanted to achieve when I created this site. Isn’t that sweet? Totally made my week! *Include the award’s logo in a post on your blog. * Answer 10 questions about yourself. * Link your nominees to the post and comment on their blogs, letting them know they have been nominated. * Share the love and link the person who nominated you. Misty and Josie: https://chickswagger.com go for a visit. Their site holds nothing back on sexuality and what it means to be a woman. No holds bar there! My passion: Family, writing and gardening. Prefer giving or getting presents: Giving is so much better. forensics4fiction blog: Forensics Demystified for the Fiction Writer by crime fiction writer Tom Adair. What can I say about this blog other than it gave me my inspiration on what I wanted to do with my own blog. Tom is an expert in forensics and my go-to place when I can’t figure things out. He brings sunshine and ignites the imagination for any writer who needs to know if the forensics in their story is plausible. Tom had to be my number one choice. His site is well put together, and a goldmine of knowledge can be found there. Jo-Ann Carson blog: Writing Dangerous Love Stories Filled with Mystery and Suspense. Jo-Ann’s home is in Canada. I love going to her blog and reading Jo-Ann’s posts. Her words take me away to a dreamland. She is an excellent writer whose descriptions are so vivid they pull you right in. I venture into her world and escape from my dark one. SHERRY ISAAC blog: Psychological Sizzle -What Doesn’t Kill Us Makes Us Writers. Sherry writes about the unknown from ghosts to biblical wonders. Her blog posts always leave me thinking about other possibilities out there. It can be scary as hell if you think about some of these things! Arlee Bird blog: Tossing It Out (http://tossingitout.blogspot.com/) is another great blog I’d recommend. He calls himself “juggler of words and phrases.” This blog give authors, both published and unpublished, a chance to hijack his blog! Isn’t that awesome? This isn’t the only blog Arlee has. Nope, he has five blogs in total- Blogging from A to Z, April Challenge, Wrote By Rote, A Few Words, and finally A Faraway View about dreams. Arlee loves blogging! And for this he deserves the sunshine award for all his blogging efforts. I just wanted to say THANK YOU to all my followers out there for their comments on my blog and for making my first blogging experience phenomenal! You ROCK! 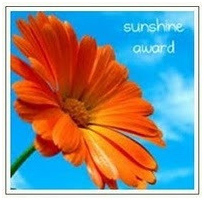 Also big (((hugs))) for Misty and Josie at Chick Swagger for giving my site the Sunshine Award!